Welcome to the website of REM - Plovdiv! 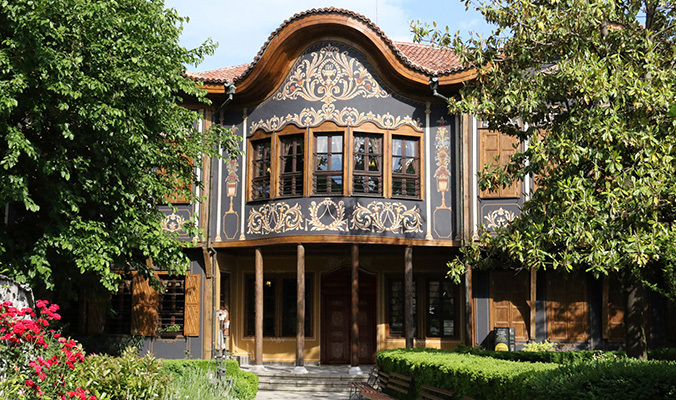 Established to delight the eye, Plovdiv Regional Ethnographic museum has always been opened for those who are eager to learn and seek knowledge. The museum houses over 40 000 artifacts which mostly relate to the traditions of Plovdiv city population and its cultural and economic environment as well. The most significant ones among the collections are those of copper utensils, pottery, ancient weapons, shepherd’s wood-carving, adornments and religious items; point lace and knitted lace, costumes from all the Bulgarian ethnic territory; musical instruments and urban interior.